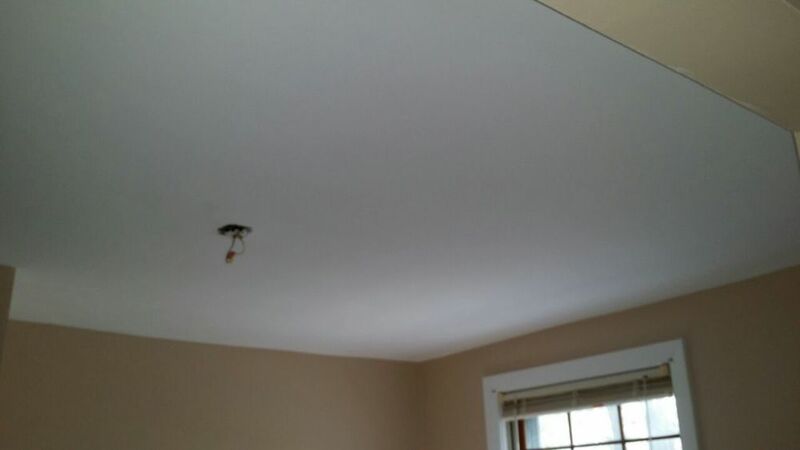 This homeowner had water damage to her ceilings due to the ice dams that happened during this winter. We had the remove the entire kitchen ceiling, install new drywall, plaster and paint all walls and ceiling. The living room ceiling was also repaired and painted. After she saw the wonderful job we did, she added more projects for us. She had us change the layout of her kitchen which included moving the refrigerator and stove for a better design layout. We have some before and after pictures of the marvelous job the team completed.